What is a Natural Link Growth Profile? One of the common questions we get is how to build links for a new site. In our training site we offer our 12 week link building roadmap and a list of directories to submit to, but I also thought I should discuss link building in general. A good basic rule of thumb (though a bit conservative of one) is to build links in a manner where every month you build as many or more links than you built the prior month. spiky. if the spikes are associated with news and viral marketing then that is not a big problem, but if they are sorta bought links, low quality links, etc. then this is sorta the worst way to do it. linear. not as bad as spiky...but not as good as geometric. this is where a webmaster tries to build the same number of links each month. geometric. this is where link building starts off slow, but then keeps getting better each month. The reason links keep building faster is that exposure breeds more exposure and if the site is genuinely useful and original some people will link to it even without you asking. This phenomenon can be described through understanding cumulative advantage and self-reinforcing authority. Plus as you build a useful site and do some social networking it builds social capital that can be leveraged when doing future promotions of featured content. While I try to do geometric when I can, sometimes we build links a bit spike because sometimes we do things in a rushed series or sometimes we do viral marketing. The viral stuff is not harmful...if you do quality viral stuff you want big spikes of links from it because those will be very hard links for competitors to try to clone. But odds are that some of our links might only count partially when we build them in spikes and there is no viral story associated with it. If we know we are going to be somewhat spiky then we try to spread it out and pace it a bit with a month to a month and a half in between each build effort (rather than do it all in the first week). When launching linkbaits you can't guarantee which ones will work and which ones will not. But the key is to launch them regularly. You wouldn't want to do a couple of them that go viral in the first month, and then follow up by doing none for the next 6 months. Brand new sites only get partial credit for links until their own site ages a bit and gets trusted more. Older sites that are pretty well trusted with a strong foundation of links can be quite spiky with no problem at all. BUT older sites that only have a few links and suddenly build a ton of links real fast can end up with ranking issues. After sites are established enough they may not need to work on doing too much link building (especially if they are pulling in many organic links due to the exposure from their current rankings and/or other distribution channels like email and blogging). BUT if they do nothing and the competition keeps investing in link building then eventually they will catch up. It is also worth noting that you don't want to use the exact same anchor text on every link. Using a variety of related phrases (seo blog, seo blogs, search engine optimization blog, etc.) would be far better than just using the exact same anchor text over and over again. You can be successful by primarily building 1 type of link from a class of websites, but if you can get links from a variety of types of link sources that will make your site strong and rankings stable even if one class of links gets deweighted. Todd Malicoat's Balancing the Link Equation is the canonical resource on that topic. And the more diverse your link profile is the harder it will be for a competitor to clone your work. Do you usually take into consideration what the natural link growth profile of a website in your particular niche should look like (or rather do you think G does?)? After all if you're building links to an e-commerce site I would expect the logarithmic link growth curve to be much flatter(exp?) than for a site in a niche filled with people who are passionate about the topic (and willing to link out to great content). This has got me wondering....speaking of "natural" looking link growth profiles....wouldnt that be a flat line in most e-commerce niches? lol...Obviously building links still helps in e-commerce, though (confused). EDIT: I just read the link to stuntdubl's article on balancing the types of links you have. He mentions that you should always build links relative to what would be considered natural in your particular niche..using the example of a webmaster in the adult industry who learned his lesson not to get PR7 links in the adult niche, because anytime he did it would hurt his rankings. So apparently Google does take the industry/niche (and what would be normal in it) into consideration (would have been surprised if not). But if they do then why can e-commerce sites still rank on links (lol)? Is it more normal than I tihnk for e-commerce sites to acquire links naturally? Or is the theory that Google believes if someone is willing to spend money on their link building efforts they probably have an online store worth being displayed (which would go against the "No paid links" theory). Some of Google's earliest filters were quite crude, but each year they grow far more refined. Would it really be possible to submit too many links using the same anchor text that you would be penalized? I think the concern is legitimate, no doubt, but I'd be interested to see some actual examples of where an individual was able to get penalized (without the use of software) by using the same anchor text on too many sites. Thanks for the explanation of different kinds of link profiles. 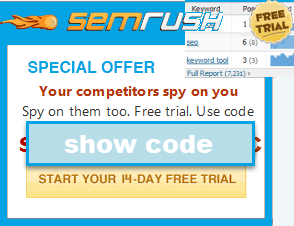 Yes it is possible, particularly if the page title is also optimized for the same keyword. I am not going to show you any examples. But feel free to do your own testing though. I agree with Patrick. What REALLY is a natural link profile growth for a "boring" e-commerce site. By boring I mean it might sell fantastic items, and it's a well maintained informative site, but there's no way in hell bloggers and other people are going to be compelled to drop links to it. Of course competitors won't link. Customers? In my experience, they don't link either. Sure if you push them, they might (but that's not natural, right? That's like soliciting for links). Whenever I mention this, someone normally mentions the "does it blend?" type viral marketing that boring sites could get involved with. Well, the nature of viral is that not every website can do that as people can only accept a few memes at any given point in time(imagine 1,000,000 viral memes bouncing around the web at once....no I can't either). Google seems to pretend people drop links to all kinds of sites. In actuality : not without being asked, not for money, or some kind of quid pro quo. Remember, I'm talking about the run of the mill site that may showcase a solid business, but it's never going to bring in natural links in the order that it needs to. IMO a "natural" link profile is ironically one which features deliberate link building (otherwise it's pretty much flat as Patrick points out). I think that Google in reality accept most links are not 100% natural (when considering run of the mill sites) and they count a big positive to links like Yahoo! Directory because it means the site owner's willing to invest in his site, and that Yahoo! reviewed the site (that's just an example). These are signs that the website is going to be around for a while, and there's money behind it. Most ecommerce sites have very few links because they are unremarkable. But there is nothing saying that those sites can not bolt on a blog or public relations or some such to become more remarkable. What is Zappos or Amazon.com but a retailer? But they bolt a lot of stuff on, add a lot of value, and get many links. And I don't think Google looks entirely to define what is "natural" ... that is just an easy way to explain it. I think it is more that they have algorithms that flag some stuff that is uncommon and/or often associated with low quality websites. So some stuff sticks out / is a mathematical outlier / has a high probability of being spam. I agree. got harped on at DigitalPoint - the newbie forum - about a year ago for insisting that Google discriminates against unnatural historical linking. It's just common sense... linking has a conversion rate in accordance with inbound traffic, which Google tracks through their vast analytics network. So a natural profile should be geometric, noisy at the low end, and more consistent at the high. Maybe that's why the Google Bot is most active of the bots. They have a greater sampling rate and can thereby distinguish natural from bought... in addition to allowing new, high-quality launches the benefit of the doubt. I think anchor texts are just being abused now and will have much less value in the future. I also don't think they look natural. I have just been link builing for company who had 1800 links which were totally natural (no link building had previously been done)- all the anchor texts were the company name only and not one single keyword anchor. Following on from SEO-Doctor's comment, truly natural links tend to have poor keywords in the anchor text : "this", "click here", "great website", "useful info" etc. I know that SEOs even take this into account by using such generic keywords interspersed in their link campaigns to appear more natural. In my experience (12 years online), and in my humble opinion, we are at the point where solicited links far far outnumber purely natural links. It's hard to say by how much, but it wouldn't surprise me if it's something like for every 20 links, 18 or 19 are solicited (paid, quid pro quo), 1 or 2 are natural. Given how link building is now being done on an industrial scale and is so well known, I think those figures may even be conservative. Look at it from Google's perspective : 95+% links are just noise, not signal. So I think if Google are going to continue using links as a signal of trust and relevance, they must be discounting 95%+ of links as next to worthless, or outright worthless. Or are they? Who can tell. But the days of links being treated innocently as a "vote" surely are close to being over? I don't think they have to discount 95% of it...even if it is noise they can still count it, just maybe count it a bit less. They do not mind there being noise in the signal so long as the noise is very expensive to manipulate and the market is very opaque. Lots of links we might not expect them to count do count. link growth profile: only for unnatural links? Aaron, do you think the link growth profile really counts for natural links? You say that it's not a good idea to stop viral marketing for 6 months, but my experience says otherwise. I've been building links naturally - sometimes in spikes, over time for 1.6 year but then stopped doing it. My Google traffic has remained the same for the last 1.5 years without promotion and in the last month has even climbed. I do expect Google to snap at unnatural links and their growth rate, compared to a natural growth profile, but it seems this aspect doesn't seriously apply to natural links. Once a site is old and trusted then it does not need to prove itself over again. But for new sites it certainly makes sites less likely to get filtered out or whacked if they keep up steady growing promotion. I am not saying that promotional spikes will hurt you...just that the more spiky your marketing is the less likely it is to seem natural, and that it is best to keep doing constant promotion. I think the biggest mistake people make is getting links form just one source. They use a new link building tool or method and spam the heck out of it. All of the sudden many new backlinks pop up but all are similar. Very easy to spot. Google pretends website owners are eagerly linking out to all and sundry based on "great content". This just doesn't happen in reality, particularly to less notable websites (i.e. 99% of websites). People link to notable sites. And these comprise of a tiny percentage of websites online. Not all sites can be notable (by the very nature of notability). For me, content is about converting visitors to do what you want them to do. If I believed content also got you links in the magnitude that REALLY made a difference, I'd be a frustrated person by now...! Content can have many different goals. Sometimes we write for conversion, sometimes we write for links. Rarely can one do both with the same piece of content, but our blog post about the Google Brand update was a rare example of an entry that was effective at both. I always look forward that my blogs will do good on links and contents. This article is an eye opener for me. However, I am a content-focused person, and that is how I look other blog's importance too. In fact, I have my blog about BlogSpot SEO. You want to specialize in optimizing websites of people who can't afford to buy a domain name? Hope you don't plan on making any money off that venture!